An in-ground swimming pool filled with water in a backyard of a white stucco house with an attached connection to a second wing. A man stands leaning against a column and a woman sits on a stone bench nearby. 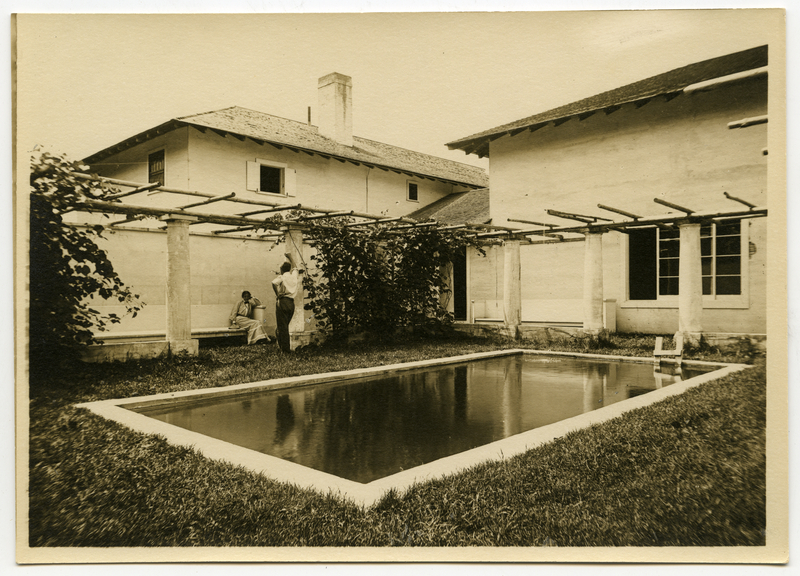 Johnson, Clifton, 1865-1940, “Swimming pool,” Digital Amherst, accessed April 23, 2019, http://digitalamherst.org/items/show/3552.